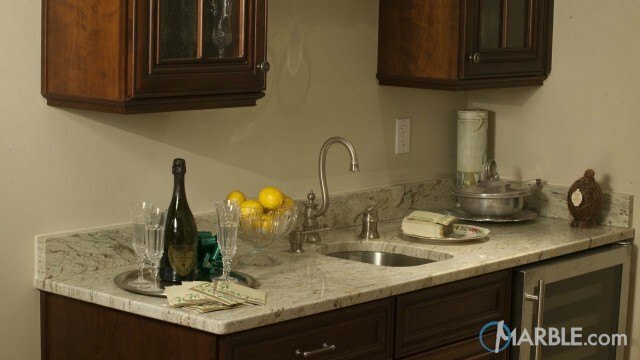 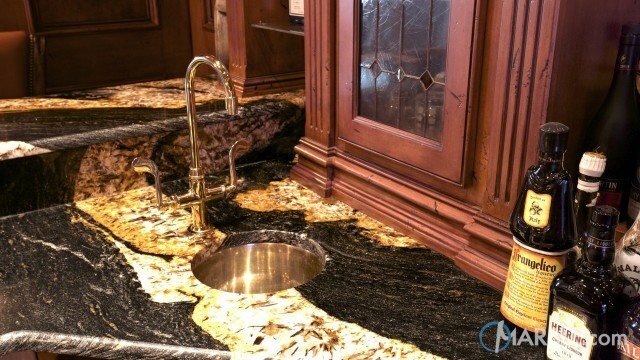 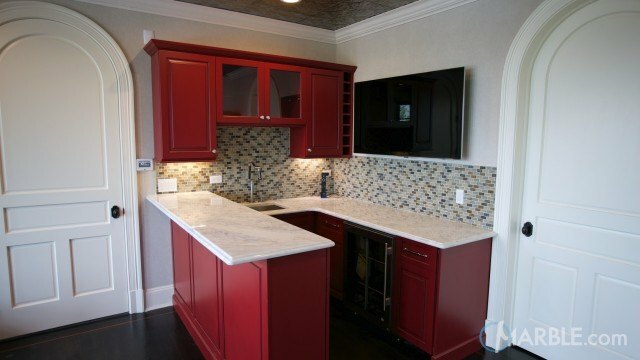 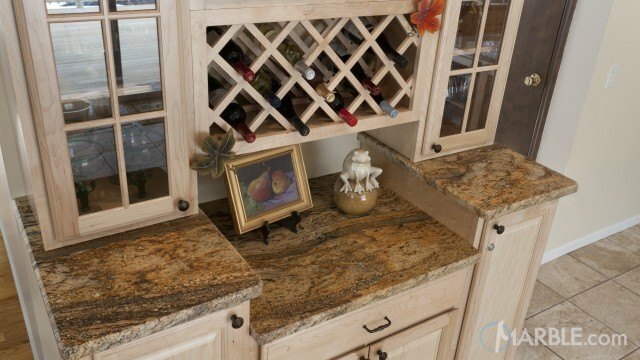 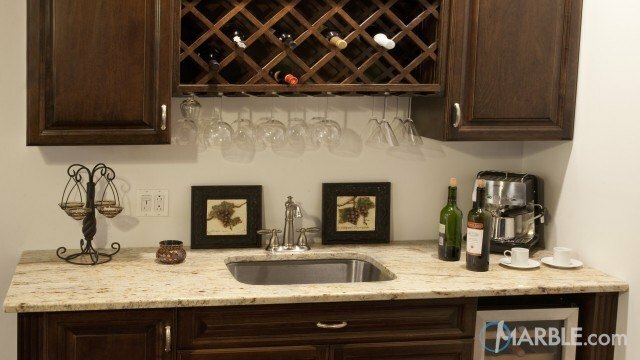 Utilizing dark cherry cabinets this new service bar looks stunning featuring Colonial Gold granite. 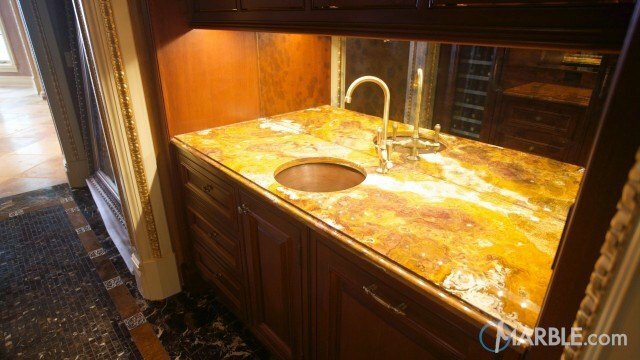 The dark speckles and veins of the stone complement the cabinets while the underling cream color compliments the lighter color of the floor. 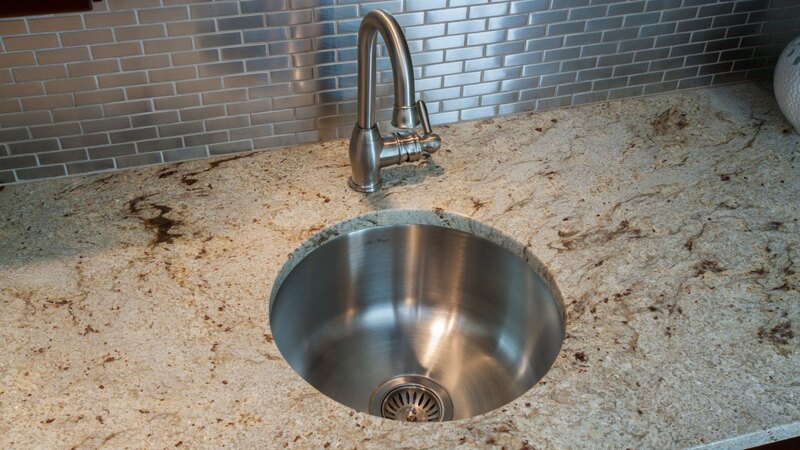 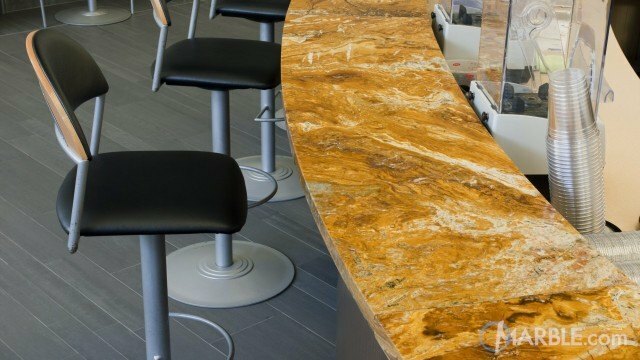 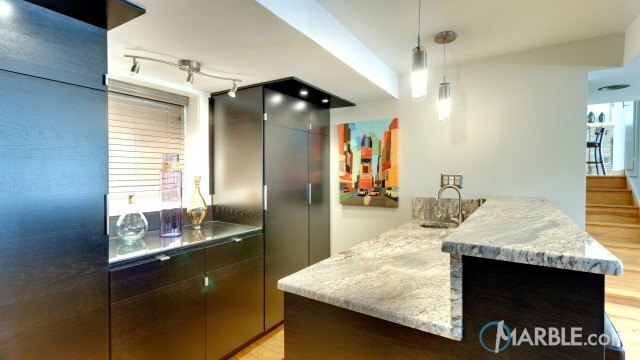 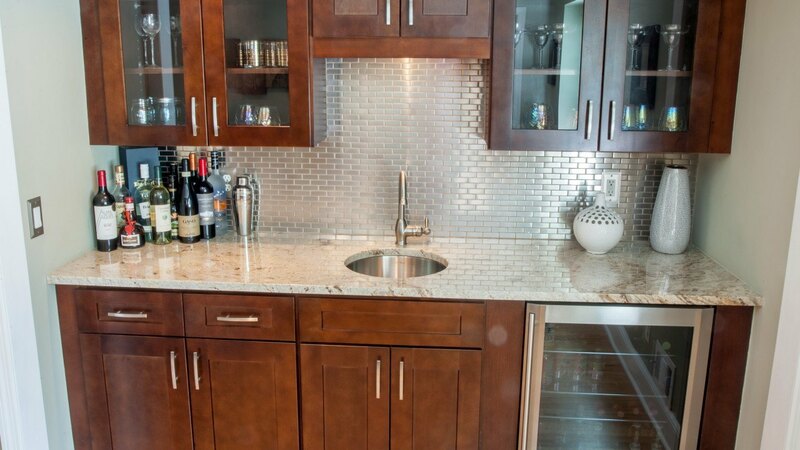 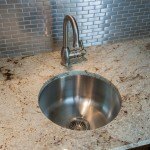 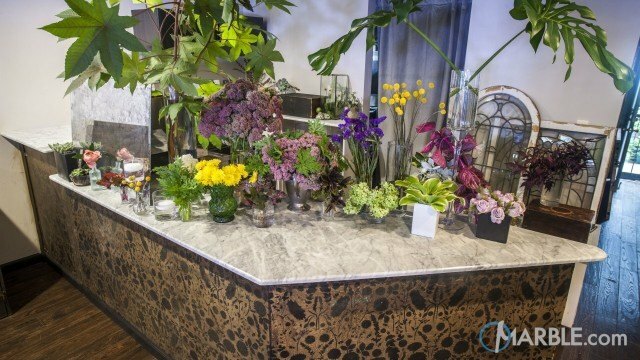 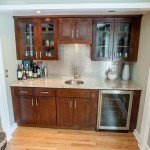 The vibrant metallic silver full back splash adds a modern and bight contrast to the whole bar aesthetic.